"Life is transformation. You change or you die." That is, until he meets Reilin. Beguiling, bewildering Reilin, who whisks Ronoah up into a cross-continental pilgrimage to the most sacred place on the planet. The people they encounter on the way--children of the sea, a priestess and her band of storytellers, the lonely ghosts of monsters--are grim and whimsical in equal measure. Each has their part to play in rewriting Ronoah's personal narrative. 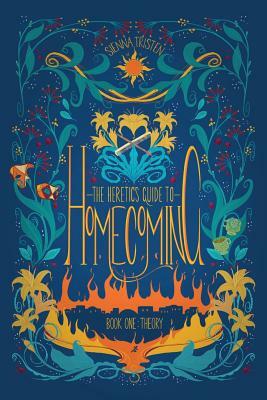 One part fantasy travelogue, one part emotional underworld journey, The Heretic's Guide to Homecoming is a sumptuous, slow-burning story about stories and the way they shape our lives.